I started my first DJ business when I was 15. I have to be honest, I was a sophomore at St. X and it was a great way to meet girls. We did a lot of high school dances, 16th b-day parties, etc. After I graduated, I went on to WKU. Bring on the Fraternity and Sorority dances! After college my friends started getting married which was my start in the wedding business. They also went to work for corporations which gave me my start in the corporate sector. Fast forward about ten years and I was running the largest company in the state with about a dozen DJs doing hundreds of events. Now with over 29 years experience, I have over 1400 wedding receptions under my belt. Then one day, the phone rang. It was The Walt Disney Company and they wanted me to join their crew and entertain thousands of families across our great land. It was the chance of a lifetime so I took it. Five magical years later I am available again for private events. So how does any of this help you? My years of wedding experience mixed with the creativity of The Walt Disney Company allow me to offer you a professional entertainment experience that is like no other. If you find yourself wanting peace-of-mind with regard to your entertainment and value like no other then we are the right choice for you. I would love to be a part of your special day and I promise to make it unique, special, and create memories that will last a lifetime. 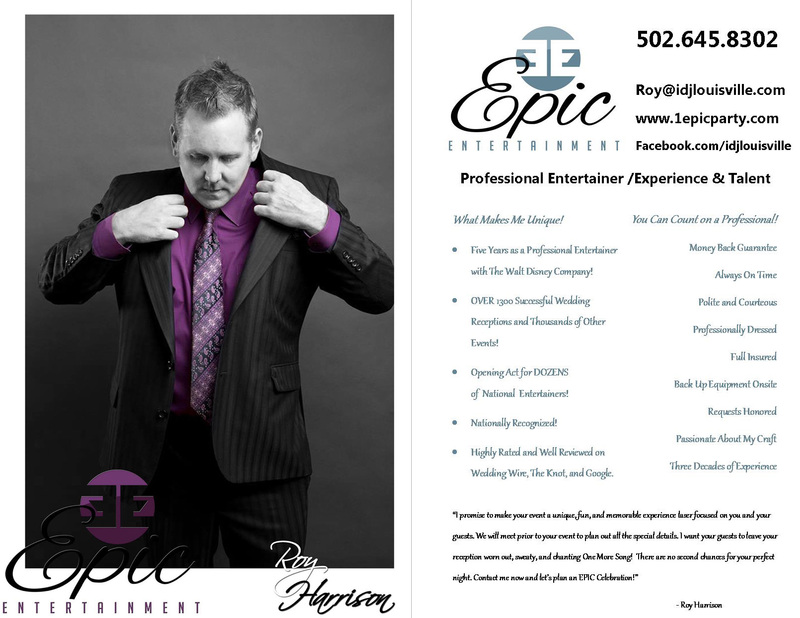 Call or email me today so we can start planning you big day!